Ipsento 606 is named after The 606, a disused freight railway converted into a 2½ mile elevated green walkway that opened in the summer of 2015, Chicago’s answer to New York’s High Line, or Paris’ Promenade Plantée. The 606 has a handy exit as it crosses Milwaukee Avenue, almost an invitation to pop down and visit Ipsento. Coming up Milwaukee Avenue, Ipsento’s first on the right, just after the bridge carrying The 606 crosses the street. You can’t miss it thanks to the massive mural on the side wall. From the front, it’s almost as impressive, tall, wide and entirely clad in glass, two huge windows flanking a recessed glass door, the words “donuts”, “bar” and “coffee” writ large at the top. If that’s not an open invitation, I don’t know what is. Ipsento feels really spacious, helped by the high, tinned ceiling. Facing south-west, it gets plenty of sun, while further windows at the back mean it never gets too gloomy. The well-spaced seating means there’s no sense of clutter. The recessed door forms two generous window bays: to the left there’s a coffee table, flanked by two benches, while to the right, two benches for an L-shaped. There are three high tables against the right-hand wall, a six-person one closest to the window, followed by two four-person ones. There’s a solitary four-person high table on the left. The rear of Ipsento houses the counter, a massive affair on the left-hand side, an interesting half-hexagon bulge mid-way along to accommodate the coffee service. The bugle has 10 bar-stools for your delight, surely the ideal location. Opposite this, on the right-hand side, Ipsento opens out slightly, leaving room for a long-window bar with eight bar-stools, overlooking the interestingly-named Park No. 567 and The 606. The only downside is that while I was there, the windows were completely open, making it incredibly loud whenever a train went by on the elevated railway on the opposite side of Milwaukee Avenue (every couple of minutes). Ipsento’s coffee operation is centred around twin Slayers on a square counter behind the hexagonal bulge. When I suggested this might be overkill (particularly considering the Modbar) I was told both are at full-steam in the morning! The remaining coffee operation is spread along the wall either side of the Slayers, hand-pour (left), bulk-brew (right). The Modbar, meanwhile, is down at the front of the counter, next to the Nitro cold-brew taps. A word about the coffee service. Ipsento changes to a cocktail bar at four o’clock, at which point there’s only espresso-based drinks from the Slayers using the house-blend. Before that, the Modbar dispenses single-origin espresso, plus there’s bulk-brew and another three single-origins on pour-over, including the same single-origin that’s on the Modbar. The house-blend is seasonal, while the single-origins change every few weeks. There’s a small selection of cake and some excellent doughnuts. I had one of each: sugared and chocolate. Both were fairly substantial and not too sweet. In the evening, small plates are available with your cocktails. I had a shot of the excellent house-blend espresso. It started smooth and well-balanced, but became more bitter, until the last sip, which had quite a kick. It was beautifully presented on wooden tray with glass of slightly sparkling water. Having arrived just after four there was some confusion over what coffee was being served, so I was given a glass of juice to compensate. Ipsento has juices on tap, all juiced on-site: mine was the 606 blend, shockingly green in colour, but really light and slightly-sparkling. Very refreshing, it was just what I needed after a day of drinking too much coffee! 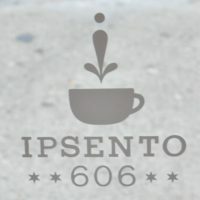 Sprudge has written an excellent piece on Ipsento 606, as well as a guide to various coffee shops located around The 606 (several of which will be appearing on the Coffee Spot in due course). This entry was posted in Cafe/Roaster, Cake, Chicago, Coffee & Wine, Coffee Shops, Dinner, Evening Opening, Laptop Friendly, Late Opening, Retailers and tagged AroundTheWorld2016, include, Ipsento by Brian Williams. Bookmark the permalink.